With the advent of cheap hydro-electric power in the late 1800’s trolleys, which were powered by electricity, could offer lower fares than the railroads. Short trips by this method of travel became popular in the Cumberland Valley. In November of 1910 the Cumberland Railway began trolley service between Newville and Carlisle. The cars left both towns every hour on the hour between 6 a.m. and midnight. Each trolley carried a motorman and a conductor whose duties included taking care of packages, firing the stove in winter and collecting fares. From Newville the fare was 5 cents to Goodyear, 10 cents to Plainfield, 15 cents to Meadowbrook and 20 cents to Carlisle. 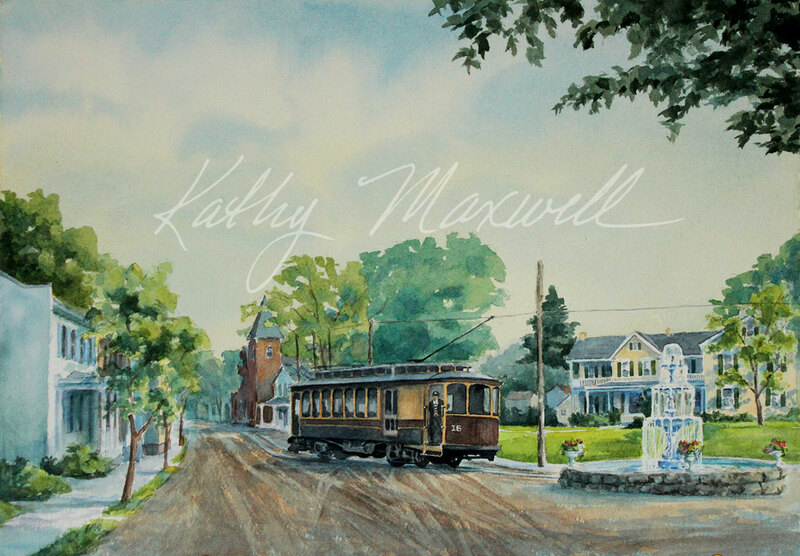 The trolley came into Newville on Main Street and continued to West Street, then south on West Street between the fountain and Parsonage Street, and finally to Big Spring Avenue. At the western end of Big Spring Avenue it was turned and retraced its route through town and back to Carlisle. Because this line was a late comer to the scene, and automobiles were becoming popular, it failed to attract sufficient riders to keep the line profitable. Even the trolley park east of Newville with its picnic grounds, see-saws, swings and dance pavilion could not forestall the inevitable and the last trolley ran in 1918. The tracks were removed in 1920.